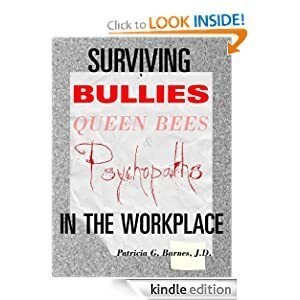 Legislators, journalists, advocates and targets will find this book by Patricia G. Barnes a much needed resource with tons of information about workplace bullying and a special focus on current and possible legislation. Barnes offers honest critique of the proposed Healthy Workplace Bill and brings a fresh perspective and much needed voice to this effort. You can, like me, send a “gift” copy to your state legislator to use as a reference that outlines a variety of approaches to prevent bullying. Barnes is an appellate and trial court judge, a licensed attorney and an author of legal books, magazine articles and newspaper op-ed columns. She became interested in workplace abuse and bullying issues after she moved across the country to begin a new job in 2007. When she reported to work, she learned there had been a management shakeup. Her new supervisor was someone whom she had never met who was 25 years younger, far less experienced, and as tightly wound as the elastic core of a golf ball. This entry was posted in bullying, Harassment_news_Info, Legislation, New Approaches, Workplace Violence and tagged bullying, healthy workplace bill, Patricia G. Barnes, Violence and Abuse, workplace bullying, Workplace Discrimination by bullyinworkplace. Bookmark the permalink. Where can I request a formal investigation of an employer. I have been mobbed and bullied for 3 years now. I have received 2 apology letteers from the employer regarding the harassment I have received. Unfortunately, it is getting worse and now the HR department are mobbing me and constantly finding fault in my work performance. I do have a union and we have been waiting for an arbitration date but the employer (I work for the ONtario gov in health care) still has not provided myself or the union with the details we have requested. They also are not following their own policies. Is there anywhere I can find support or request an inquiry. Please help. 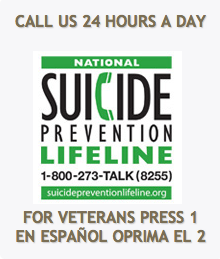 I’m so sorry to hear about what you are going through. You need to contact a lawyer or counselor with legal expertise specific to your geographic location and situation. Your Union should be able to help guide you.